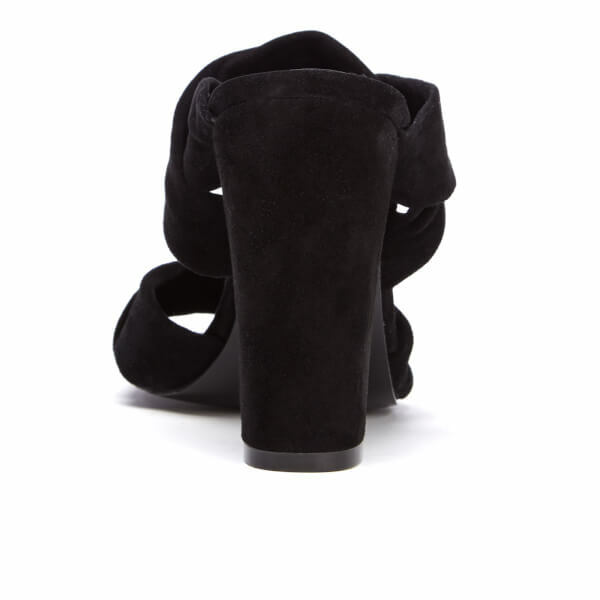 Women's double strap suede mule heels from Kendall + Kylie. Constructed from luxuriously smooth black suede, the 'Demi' heels feature dual crossover knots straps and an open toe. 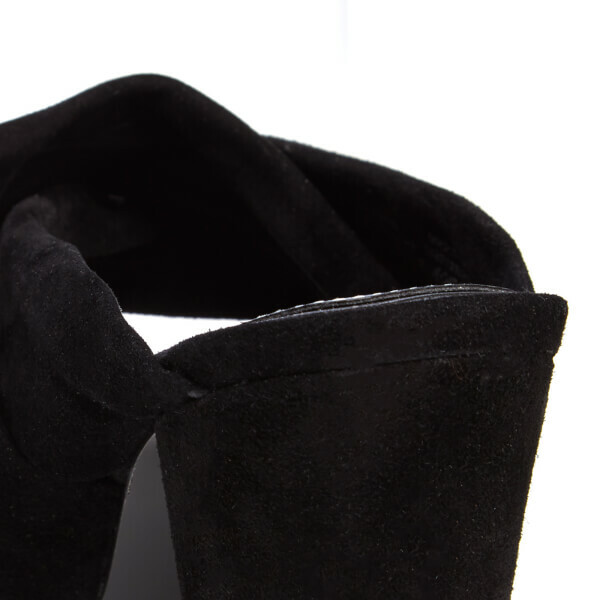 Complete with a four inch block heel and a cushioned footbed with embossed branding.